Silviu Gherman, the frontman of Mes Quins is an underground writer. 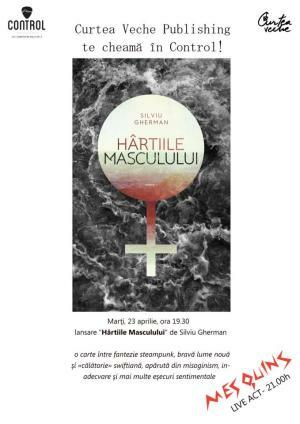 He is launching his book, ”Hârtiile Masculului” at 19h30, followed by Mes Quins concert, starting 21h00. 22.00 - Afterparty with Brutus! "Book launch and Mes Quins live" Concert in Bucharest. You can get here description, reviews, address, time and details of "Book launch and Mes Quins live" Concert in Bucharest. Visit Bucharest Tips for more Concert events in Bucharest!